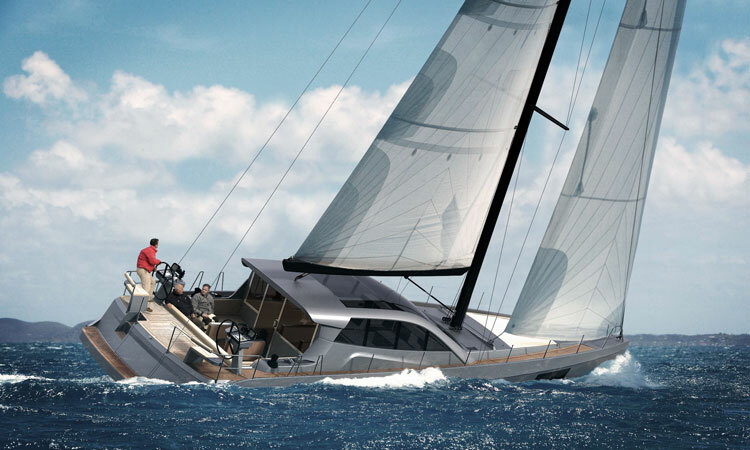 The BD56 is what one could call the SUV of the sea: a vessel uniting all the features of a sail boat with those of a motor yacht. 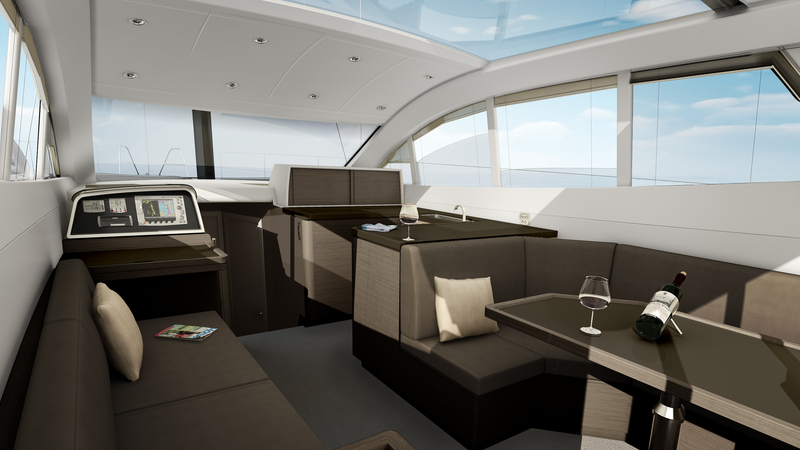 The idea has been developed in order to satisfy the wishes of sail boaters and their passion for the sea, adding the time advantage a motor yacht can offer. The changes in the habits of the current seafarers, who share their passion for the sea and everything around it, like the silence, the fishing, the independence, combined with the increasing lack of time suffered by today's society, has led us to develop a new concept of vessel which, thanks to modern technology, can provide the enjoyment of the true passion for the sea to a larger group of seafarers. 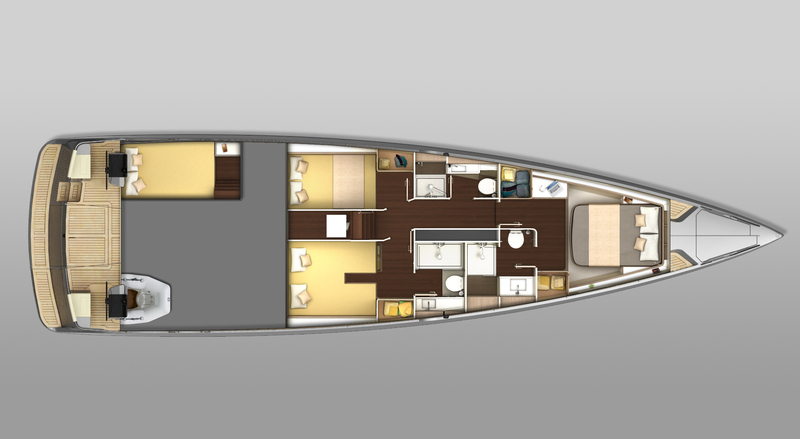 For those who cannot take several months of vacation but want to enjoy the sea, the BD56 is the ideal vessel. 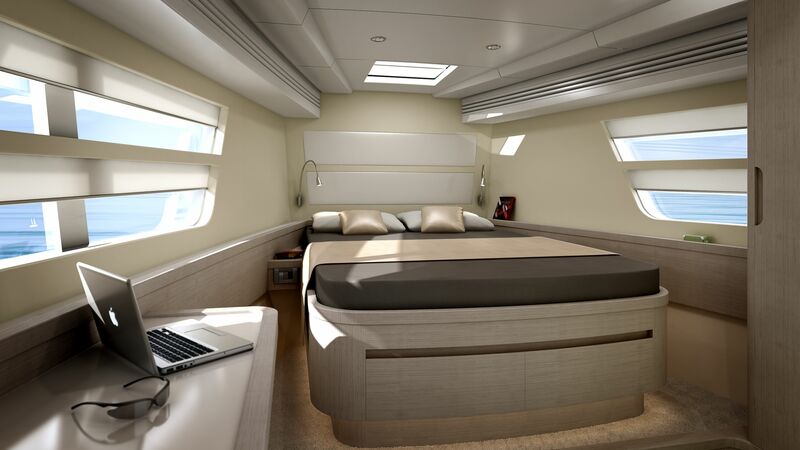 Besides travelling at high speeds, they will be able to live the peace and tranquility of sailing, spending a night by the beach enjoying open spaces, delighting a swim and sunbathing on comfortable and large mats, fishing or even doing water ski. It doesn’t matter if you come from the world of motor yachts or sail boats, the BD56 will provide continuity in the satisfaction of the elements you were used to enjoy up to now, topped with those advantages you have seen regarding the other vessels.With a full glass cabin on the same level as the cockpit, the boat invites you to enjoy a day at the sea from one of the broadest spaces designed for a 56" yacht. Electric sliding ceiling, windows and doors make it possible for you to enjoy the breeze in moments of good weather and, at the same time, convert the cabin in a special place from where to observe the inclement weather when it appears - while having everything under control from a protected command post. The interior distribution provides three double cabins with individual bath rooms, two of them with separated showers. A broad range of individual options is available to satisfy even the most demanding owners and guests. The owner's cabin is worth a special mention with its unmatched glass area provided by windows located only a few centimeters above the sea and offering an amazing continuity of the sea level. 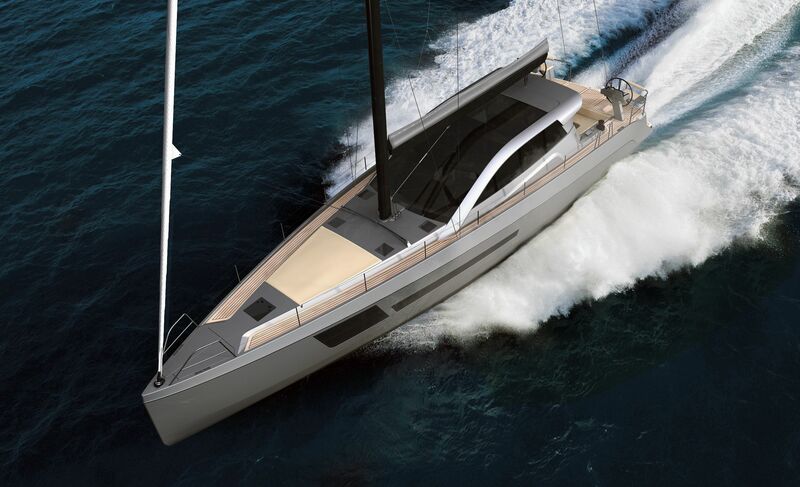 The new BD56 is an innovative hybrid vessel providing the advantages of a motor yacht - with peak speed at 21 knots and those of a sail boat with an excellent sail plan reaching a cruising speed of 9 knots and an even higher downwind speed. 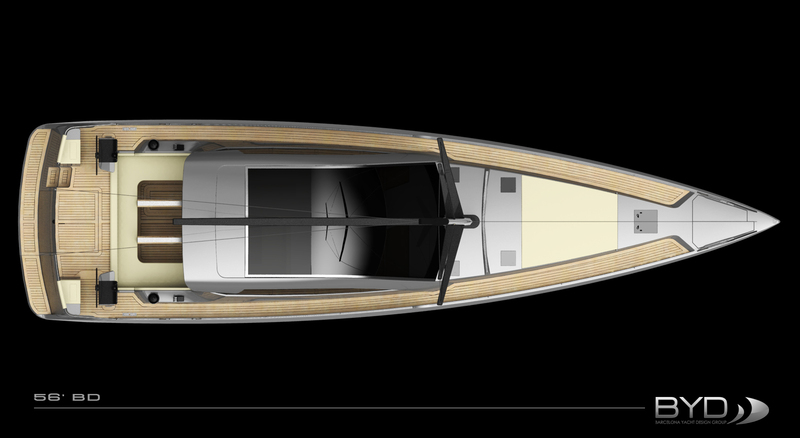 With technical specs comparable only with Volvo Ocean Race boats, the BD56 offers carefully designed water line, ideal for gliding, the hull is made of vinylester resin by vacuum infusion, combined with a keel of 3,5m that can be retracted to 2,1m, a carbon mast and the twin helm allow the boat to glide with ease, independently of the power it receives, be it by engine or sail. Outboard engines offer plenty of advantages which are difficult to match with other solutions on the market today. They offer unrivalled features due to the use of modern technology, offering lower fuel consumption, high performance and improved safety over the engines used only a few years ago. Something more to add to the list of advantages are the broad maintenance network and warranty offered worldwide. Sailing the BD56 has been kept simple without sacrificing performance, so that even inexperienced sailors can sail it without concern. The rolling boom main sail offers a big sail plan and simplifies the haul down procedure, as does the auto-tack rollable jib, which converts the BD56 into a toy using electrical winches. These features, together with the lifting engines, give the BD56 the sensation of speed with the lightest breeze. Sailing downwind, lifting the asymmetric grants a soft and controlled glide providing enjoyment to the most experienced sailors. The BD56 has been conceived for a fast, but at the same time pleasant and comfortable navigation, from any of the two fully equipped command consoles, anything can be done, from trimming the winches up to controlling the tension of any rope with a button. In case of bad weather, the cockpit under the crystal roof of the cabin is the ideal place from where to control the autopilot, however, the remote control allows to do this from anywhere. The twin outboard engines, together with the bow thruster, guarantee a great maneuverability. 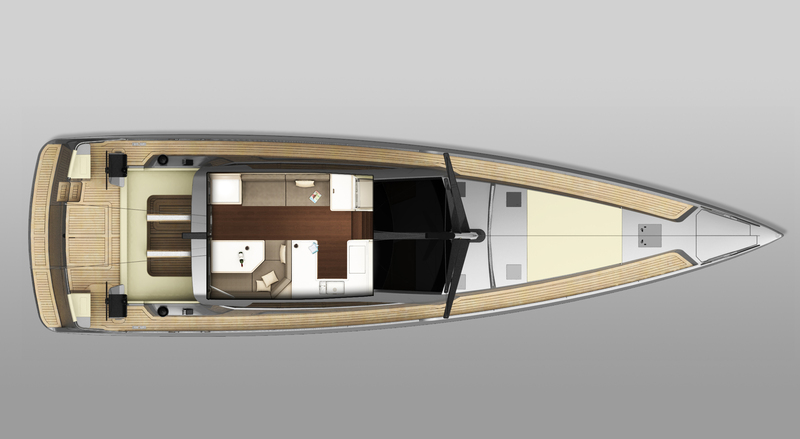 The flush hatches, retractable cleats and anchor provide a vast deck which combines teak with large padded areas thought to enjoy a sunny day. The modern interior lines create a unique space to relax in. 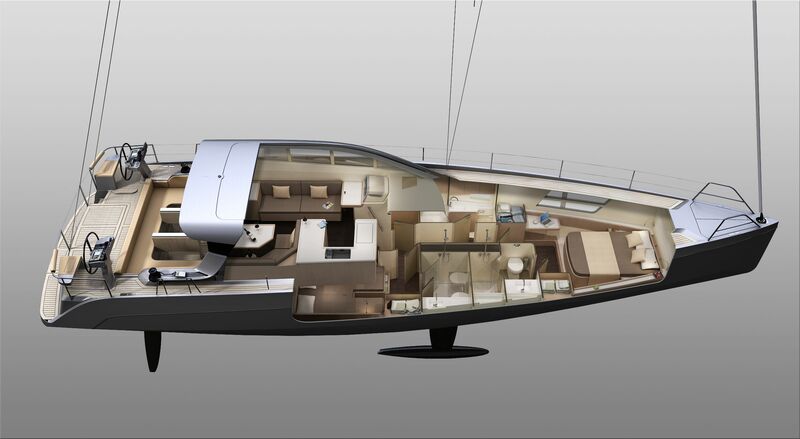 With no inboard engines, the design of the BD56 was able to optimize the interior spaces offering an area for the tender, in addition to an optional fourth cabin and a large storage room for diving equipment or other toys. The team of professionals who developed the BD Yachts project present a large track record in super yacht construction with international recognition and are accustomed to meet the needs of even the most demanding customers. The BD56 has been designed using sophisticated CAD tools, as the CATIA software, which has provided extreme precision in all the design and production process, which has given us special recognition in the nautical sector. The dynamic flow studies, carried out by the same team employed and also by the big teams of the Volvo Ocean Race and the America's Cup, allowed us to adjust the developed models optimizing the hull and guaranteeing resistance and safety. 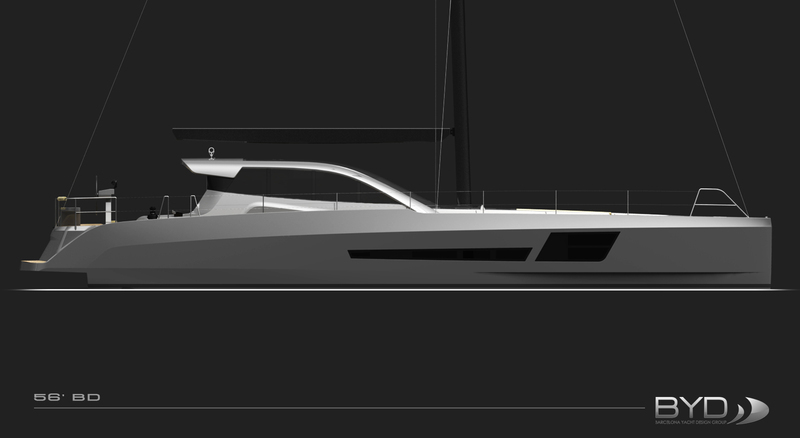 Designed and produced under the CE norm, the BD56 has been approved by RINA, a multinational company with 150 years of experience in yacht classification. Its strict protocols for the use and storage of petrol for the outboard engines warrant safety under the most extreme conditions. Furthermore, their use provides additional safety deriving from the possibility to lift one and use only the other without major problems. The BD56 obtained the prestigious Millennium Yacht Design Award given by CarraraFiere in the framework of SEATEC, an international exhibition of technologies and design for boats, mega yachts and ships. Our vessel also won the Prize for Innovation in the Nautical Sector in the Salon Nautico of Barcelona, it was given by ADIN in October 2016.